When most think of heroes and best friends, ideas may come to mind of a father, spiritual leader, or distant role model. However, in my case I think of my wife, Michele. Mistakenly, some believe we were blessed with a “silver spoon” life. However, that could not be further from the truth. Each of us has endured tragedy and hardship that may have driven most to say, “I Quit!” But this story is not about me; it is about my wife and how I honor her. Now, let’s really dive in to why my wife not only inspires me, but many around the world. Note: this is also why I love her so darn much. Michele was given up for adoption. Michele was born in 1966 at the Salvation Army Hospital in St. Paul, Minnesota to a young couple who had to give her up for adoption. After being adopted she grew up in Brainerd, Minnesota with her adoptive family. In 1982 her father had a horrible accident from which he never fully recovered. As a result of her father’s disability, her mother took a job at Oral Roberts University City of Faith Hospital, and the family moved to Tulsa, Oklahoma. According to Michele, it was her father’s unfortunate situation that instilled the incessant drive and strength in her to constantly lift herself to higher levels of excellence. As a young girl, Michele chopped wood, shoveled snow, raked leaves, and delivered newspapers to earn enough cash to buy the things that her family just couldn’t afford due to their limited income. Meanwhile, in school, Michele excelled in music. By 9th grade she was composing music and she played a total of 9 instruments (5 fluently). Likewise, she loved sports— track, volleyball, and basketball. In fact, Michele was the first girl to win all three presidential physical fitness awards at her elementary school. While school sports were great, she especially loved the martial arts. Taekwondo was the love of her life. She reached black belt status in only 11 months and she was a 3-time state champion. Michele was on her way to the Olympics…but then she faced an injury. She had her eye on the Olympics; however, one week before her 2nd national tournament (at this time she was first in the state and 10th in the nation), she had a major injury to her left knee. In one quick swoop, her martial arts career abruptly ended. Michele’s high school years were in her own words “disastrous”. She worked three jobs to help support her family and she was fighting a severe learning disability (dyslexia). In fact, the woman that would one day become a doctor almost flunked out of high school. During this same time, her family moved back to Minnesota because her mother lost her job. Michele stayed in Oklahoma to pursue her dreams of Olympic glory despite the injury. Because of her lack of finances, she was forced to live in her car. She slept with a 38 pistol under her head for security as she was afraid of the dark. Things started to turn around, but times were still tough. By 1990, she had become a massage therapist and earned just enough to rent an apartment. For the first six months she had no furniture and lived by candle light to save on her expenses. With no furniture she slept on the floor, and after about 8 months bought herself a futon that gave her simple creature comfort and a cushion from the hard floor. Her goal was to try and rehab her knee injury. She was so poor that she couldn’t afford a physical therapist so she decided to join a gym to help rehab her knee. 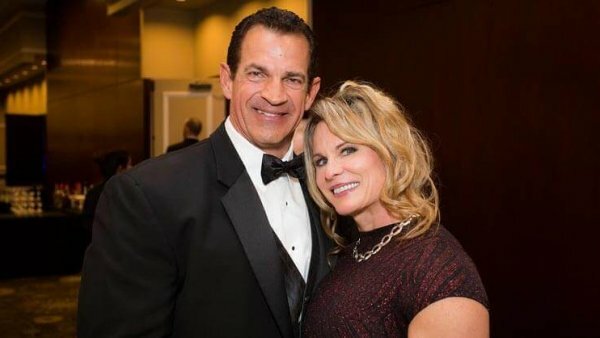 While training at the gym, in 1991, she met a man who taught her how to train with weights properly and who, eventually, convinced her to enter her first bodybuilding competition, the NPC Mid-Western. In 2001, Michele reemerged on the bodybuilding scene and captured the NPC Oklahoma Bodybuilding Championships for the next 5 years in a row. In 2006, she decided to tackle the national bodybuilding scene and, in her first try, she won both the NPC USA and IFBB North America Championships heavyweight class; but lost the overall. Then, in 2007 she won both the NPC Masters Nationals and NPC USA heavyweight class. This time she lost the overall pose down by a single point. Since only the overall winners at the NPC USA, NPC Masters Nationals, and IFBB North America gain pro status in the IFBB, Michele was denied entry into the pro ranks. However, Michele has never given up a fight in her life. Michele decided to become Dr. Michele. In the late 1990’s, she decided to climb her next mountain: Osteopathic Medical College. This really came about because one of her massage clients said to her, “Michele, you are far too smart to be a massage therapist for the rest of your life. If you will decide what you want to do with your life and make a decision to go back to school, I will pay for your first semester”. It was the next day that Michele returned to her client and said, “I am going to be a doctor”. She was on her way and never looked back. She graduated with at the top of her medical class, received multiple awards and recognition. She completed an internal medicine residency and furthered her education with a sports medicine fellowship. Dr. Michele exemplifies extraordinary character. She doesn’t know the definition of the word QUIT. Remember, she’s the poor, dyslexic, girl from Oklahoma who mastered five musical instruments, became an Osteopathic physician, and won four national bodybuilding titles! While Michele’s list of accomplishments may seem spectacular; it’s her generous, loving, heart—her inner character—that truly defines who she is and what she’s about! And I get to spend my life with her. How fortunate and blessed I am. There is another subtle reason I wrote this blog – it is because men need to honor and appreciate their wives. There is not near enough of that these days. Anyway, Michele, or Dr. Michele as she is known to many, is more than just a pretty face. She is a warrior who will not quit. That is why SHE is my hero and best friend.